In BR the designation SRY1532.1/SRY10831.1 means that these two SNPs are identical but were discovered separately. The listing is alphabetical, not necessarily in the order of discovery. In C the designation M130/RPS4Y means that these two SNPs are identical but were discovered separately. The listing is alphabetical, not necessarily in the order of discovery. In DE the designation M1/YAP means that these two SNPs are identical but were discovered separately. The listing is alphabetical, not necessarily in the order of discovery. In E the designation M40/SRY4064/SRY8299 means that these three SNPs are identical but were discovered separately. The listing is alphabetical, not necessarily in the order of discovery. In M the designation M4/M296 means that these two SNPs are identical but were discovered separately. The listing is alphabetical, not necessarily in the order of discovery. In P the designation M74/N12 means that these two SNPs are identical but were discovered separately. The listing is alphabetical, not necessarily in the order of discovery. In R the designation M207/UTY2 means that these two SNPs are identical but were discovered separately. The listing is alphabetical, not necessarily in the order of discovery. The same is true for M306/S1. Added Kerchner in Additional Resources on 12 January 2007. 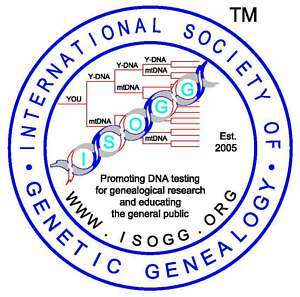 Corrected error and added U179 to haplogroup I on 17 October 2007. Added to notes and added Chandrasekar et al (2007) on 17 October 2007. Added SNPs U2, U3, U6, U7, U12, U17 on 17 October 2007.